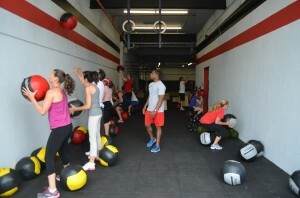 Crossfit Long Island NY - is this for me? Crossfit is for YOU. It’s for EVERYONE. We scale load and intensity; we don’t change programs. Our program delivers a fitness that is by design – broad, general and inclusive. Our specialty is not specializing. Combat, survival, sports and life reward this kind of fitness and, on average, punish the specialist. The needs of Olympic athletes and our grandparents differ by degree, not by kind. Our special forces, firefighters, surfers, mountain bike riders, computer programers, mechanics and housewives have found their best fitness from the same regimen. So, yes, CrossFit is right for you. It is right for everyone. That doesn’t mean it’s easy, in fact, it may be the most challenging workout you’ll ever come across. But it may also be the most rewarding and provide the best results!